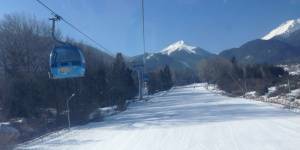 Hotel Dumanov is situated at the foot of the magnificent Pirin Mountain in the most prestigious part of Bansko, only 300 meters from the ski lift station. It is built in the Bansko style, typical of the Revival period, according to the contemporary requirements and standards. In the construction and furnishing it is used mainly natural materials, creating coziness and warmth. The complex has everything you need for your relaxation and relaxation all year round. It is suitable for organizing corporate events and events, wedding and family celebrations. Escape the hectic everyday life and feel the magic of Pirin Mountain and its pearl Bansko - the winter capital of the Balkans. The hotel team will respond to every wish you wish and will take care of the smallest detail. It is next to the leading tourist sites and attractions. To the surrounding mountains - Pirin, Rila and the Rhodopes. One of the few hotels owned by locals who have preserved the tradition and hospitable spirit of Bansko. Exceptional price - quality ratio. The price includes: relax zone (sauna, steam bath, jacuzzi, gym), parking, Wi-Fi, insurance, tourist tax. Immediate Confirmation. The reserved rooms are guaranteed. Dumanov tavern is built and arranged in old Bansko style. There are in the restaurant 240 seats (80 in the summer garden and 160 in the tavern). It is with an area of 600 sq.m, good location, and cuisine and quality service. We believe our customers are special!